A Fire District for Cold Spring? By Michael Turton on January 25, 2019 Comments Off on A Fire District for Cold Spring? 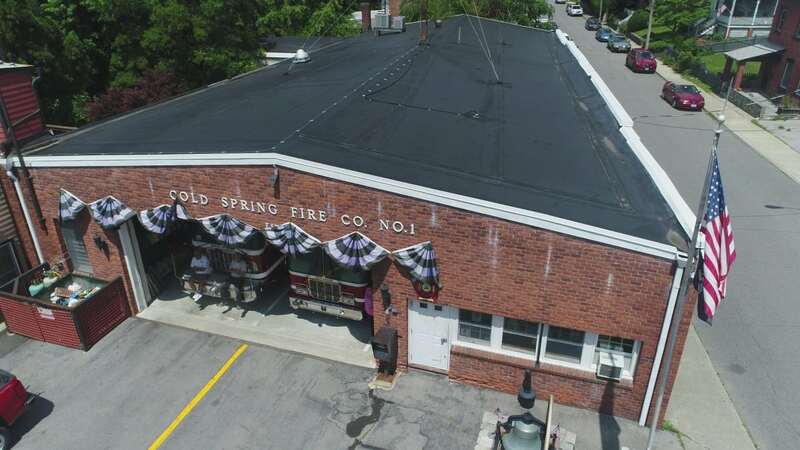 The Cold Spring Fire Co. has begun discussions with the Village Board regarding the formation of a fire district administered by elected commissioners. Unlike in Garrison and North Highlands, the company currently functions as a department of village government. 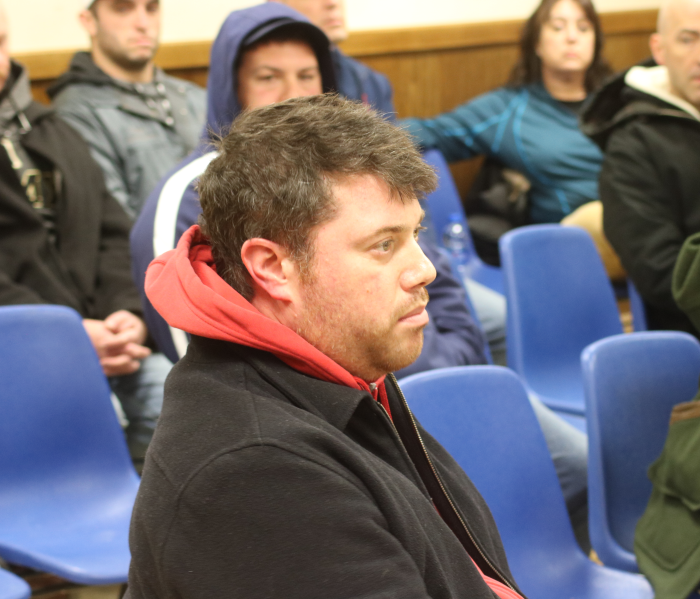 “The idea was to throw the idea out there to you,” fire company President Matt Steltz told the board at its Jan. 22 workshop. 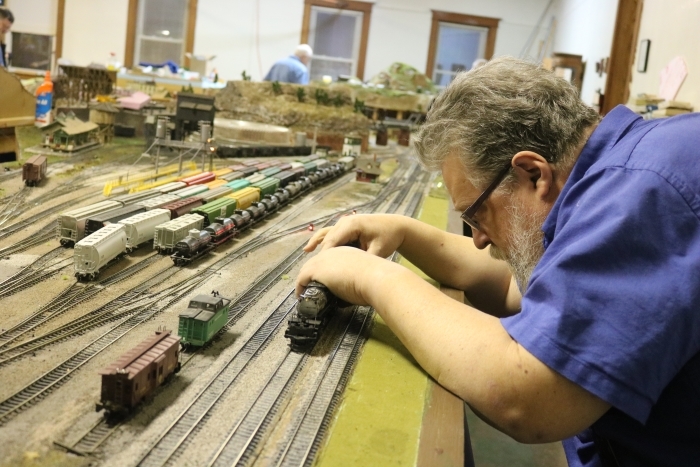 “We’re not here to convince you of anything.” It was unclear how committed the company is to forming a district; its membership has not voted on the issue. One downside to becoming a district, according to Steltz, would be an increase in taxes within the company’s fire protection area, which includes the villages of Cold Spring and Nelsonville and part of Philipstown. He and other company members who attended the meeting also expressed concerns over a loss of internal control because the district commissioners would closely monitor operations. The Village Board approves the company budget but does not get involved in its day-to-day workings. Merandy also wondered if the company would build a new firehouse if a district is formed, because it could be built outside the village but within district boundaries. Steltz said that could be considered “down the road” but that a new firehouse wasn’t the only reason for considering the change. “We have a firehouse,” on Main Street, he said. The larger issue, he said, is that “we have concerns about finances and we’re not sure if [the company] is going to be sustainable.” All parties agree that the firehouse, which is owned by the village and recently underwent major roof repairs, needs further updates such as kitchen renovations, repairs to the brick façade and asphalt apron, and making its bathroom compliant with the Americans with Disabilities Act. The company also would like a new fire truck (at about $750,000), a state-mandated diesel exhaust ventilation system ($40,000 to $50,000), upgrades to its rescue boat and scheduled replacement of firefighting gear. Merandy responded that he would “have to be convinced,” citing concern over the potential tax hike for village residents. He pointed to the Garrison Fire Company’s 2016 shift to a district that resulted in a 27 percent budget increase in its first year, before a state-mandated tax cap kicked in. Ralph Falloon, the former Cold Spring mayor who is a longtime company member, said he could guarantee that if a fire district were established there would be no similar budget increase, a fiscal move he described as “insulting” to taxpayers. 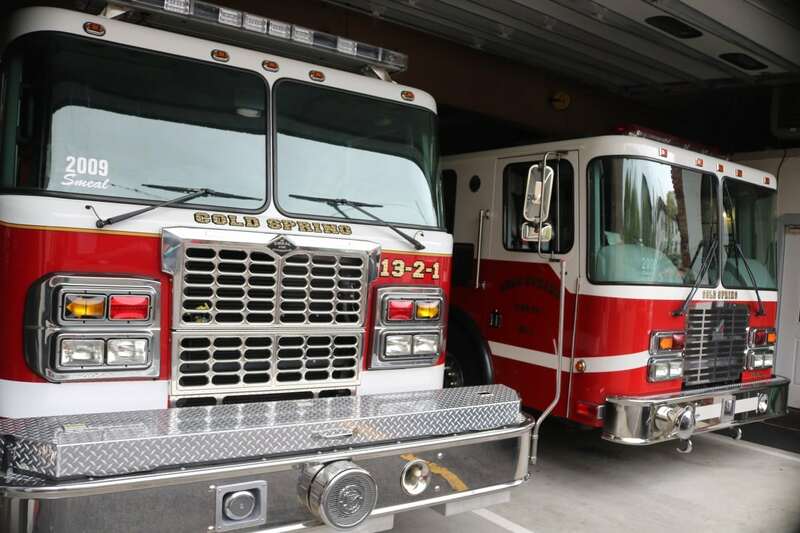 Falloon and Steltz both said that under a district, there would be no need to increase the fire company’s $120,000 operating budget, which is not affected by major expenditures such as buying a fire truck; that is typically financed through a bond. Another member of the company, Dan Valentine, told trustees that with a district the elected commissioners deal with administrative and budget matters, which allows members to concentrate on training and firefighting duties. Creating a fire district would require the approval of the Nelsonville, Philipstown and Cold Spring municipal boards, and state law requires that Philipstown set it up. 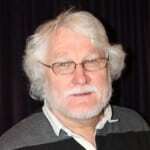 The town would also collect taxes on behalf of the district, just as it does for Garrison and North Highlands. Merandy cautioned that a district could face an issue with Nelsonville, where officials questioned the cost of fire protection provided by the Cold Spring department, a dispute that took two years to settle. Michele Smith, executive director of the Hudson Highlands Land Trust, reviewed Cold Spring’s application to a state program to protect area water quality and quantity. Thirty municipalities will be chosen; if selected, Cold Spring will receive the services of a consultant to draft a water protection plan. Trustees authorized Merandy to sign the 2019 contract between the village and the fire company. The village may lose nearly $24,000 in state aid if budget changes proposed by Gov. Andrew Cuomo are adopted. The board will protest the cuts. Merandy and Trustee Fran Murphy will soon resume talks with the Cold Spring Boat Club regarding the club’s lease of village-owned riverfront property. The mayor read a letter from Gordon and Suzanne Robertson praising the Highway Department for its work during last week’s storm.